Most landlords – for any type of tenancy – will ask you for a deposit. This provides them with a pot of money that they can use to pay for any damage that you cause or to cover any rent payments that you miss. Deposits are normally between one months and six weeks rent and you will have to pay this before you get the keys (which should not be more than a day before you sign the tenancy). Yes, we know it’s to cover damage that tenants cause to a property but landlords (and agents) have a tendency to interpret ‘damage’ very widely. It covers problems like a broken window, smashed furniture, a lost light fitting, a hole in the wall or cigarette burns in the carpet. It will not cover something that would be considered ‘wear and tear.’ Wear and tear is essentially what would naturally happen to the property as a result of it being used as it is intended to be used over a period of time. So, you might expect there to be some marks on the carpet, for example, if you have been in the same property for four years but lots of red wine stains won’t be wear and tear. The deposit is also not meant to cover redecoration – unless it is required as a result of damage you have caused. So, if a landlord tries to bill you for repainting the walls just because the paint is getting a bit old then that’s not a cost for you to bear. The deposit can either stay with the landlord or agent, or be paid into the deposit protection scheme account. If it stays with the landlord or agent then it must still be registered with a deposit protection scheme that will ensure the landlord has insurance to cover the accidental loss of your deposit. There are three approved schemes in England (the Deposit Protection Service (DPS), My Deposits and Tenancy Deposit Scheme (TDS)). Your deposit can only be held in one of these schemes and you should be able to search for it via their websites. How does the landlord protect the deposit? The landlord has 30 days to protect your deposit from the date that it is paid over and 30 days from that date to notify you of the scheme that the deposit is being held with. You don’t have to do anything and there should be no fee to pay for this. What happens if the landlord doesn’t protect the deposit? 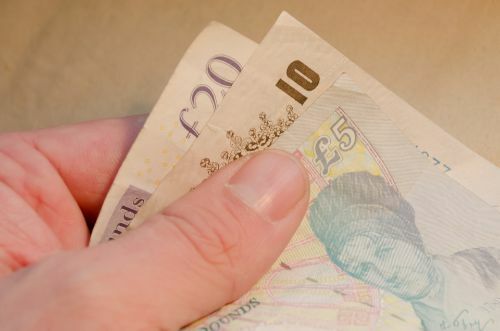 After 30 days you have a right to claim compensation that could be anywhere from 1-3 times the deposit amount, even if the landlord protects the deposit at a later date. At the end of the tenancy the landlord will probably provide you with a list of deductions he or she wants to make. Unfortunately, landlords have a tendency to be cheeky with their deductions and claim for items they shouldn’t. Remember that the deposit remains your money until you agree to deductions in writing and, no matter how much an agent or landlord tells you that you don’t have a right to argue, you do. If you don’t agree with the suggested deductions then you can raise a dispute with the protection scheme holding your deposit. That will then require the landlord to provide proof of the right to make the deductions that they want to make (i.e. evidence of damage, that the damage was caused during your time in the property and something to show that the amount they want to deduct is fair). We advise all tenants to act respectfully with their landlords and letting agents and seek a peaceful resolution to problems with their rented property. For more information, explore the articles in our Student accommodation category.